Sri Lanka’s junior finance minister has asked President Maithripala Sirisene to stop officials flying business class as part of government efforts to reduce the country’s ballooning budget deficit. Lakshman Yapa Abhayawardene also asked Sirisena to direct ministers and government officials to monitor the financial management of all ministries. 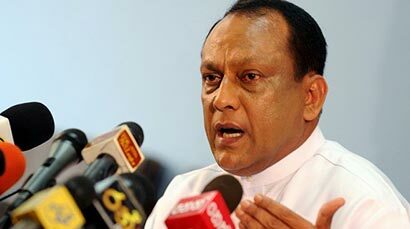 “I expect your personal and dedicated intervention to implement a strong fiscal management system,” Abhayawardene wrote in a letter to the president. The request comes as the government takes steps to raise revenue by 100 billion rupees in 2016, in response to repeated requests from the IMF, by increasing value added tax (VAT). Sri Lanka is heavily indebted, partly due to borrowing by the previous government during its nine-year tenure that ended in January 2015, and faces a balance of payments crisis with around $2 billion foreign outflows from government securities. The government last week reached an agreement with IMF for a $1.5 billion bailout to help Sri Lanka avert a balance of payments crisis.